All the BBC websites were unavailable early on Thursday morning because of a large web attack.The problems began about 0700 GMT and meant visitors to the site saw an error message rather than webpages. The website issues meant the BBC News pages would not load without showing an error message and TV fans were unable to catch up with their favourite programmes on the BBC’s iPlayer. BBC later apologized for the outage. A news story posted on the website said it had been due to a “distributed denial of service” [DDoS] attack in which a website is swamped with more traffic than it can handle. This is a relatively common way to target a website and temporarily make it inaccessible. Earlier, BBC made a tweet laid the blame for problems on a “technical issue”. And later back 1 hr ago again tweeted notifying readers that BBC websites are back online. We’re aware of a technical issue affecting the BBC website and are working to fix this now. We’ll update you as soon as we can. The BBC website is now back up and operating normally. We apologise for any inconvenience you may have experienced. 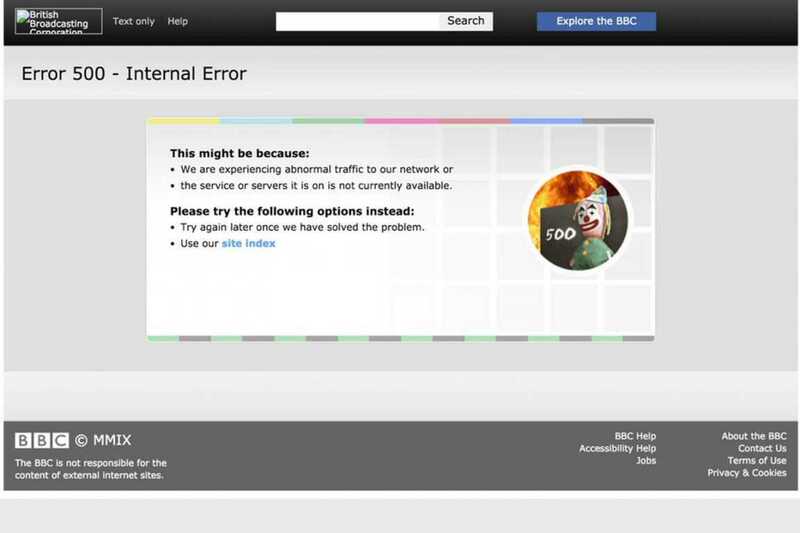 The attack on the BBC hit the main website as well as associated services including the main iPlayer catch-up service and iPlayer Radio app which were also not working properly. Social media reaction to the trouble was swift. Many urged the BBC to get the site back up quickly and lamented how long it was taking to fix the technical troubles. By 1030 GMT the site was largely working again though some pages and indexes took longer than normal to load. The BBC’s crop of websites have suffered other technical problems in the past. In July 2014, the iPlayer and many of its associated sites were offline for almost an entire weekend. The fault was traced to a database that sits behind the catch-up TV service.